The one and onlyCherwill be releasingDancing Queen, a new album of all Abba hits. The Oscar, Emmy and Grammy Award winning icon was inspired to record the album following her stunning performance in the recently-released mega-hit film,Mamma Mia! Here We Go Again. Commented Cher: "I've always likedAbbaand saw the originalMamma Miamusical on Broadway three times. After filmingMamma Mia! Here We Go Again,I was reminded again of what great and timeless songs they wrote and started thinking 'why not do an album of their music?' The songs were harder to sing than I imagined but I'm so happy with howthe musiccame out. I'm really excited for people to hear it. It's a perfect time." Dancing Queenwas recorded and produced in London and Los Angeles withCher's longtime collaborator Mark Taylor, who previously producedCher'sglobal smash "Believe" which was number one in over 50 countries. 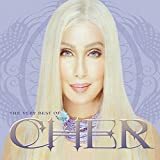 The first-ever career-spanning Cher compilation, sampling 21 of her biggest hits. 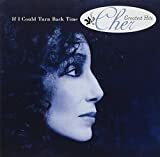 Covers almost four decades, from the Sonny & Cher era and beyond the 1999 global hit "Believe." Also features "If I Could Turn Back Time," "Just Like Jesse James," "I Got You Babe," and 18 more favorites. 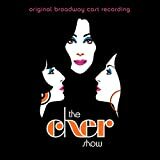 THE VERY BEST OF CHER presents more than 70 minutes of star-powered music on one essential disc. 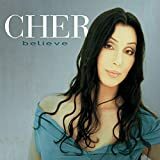 To celebrate the20th anniversaryofCher's'Believe' album, Warner Bros. Records will release the album for thefirst time ever on vinyl. Thequadruple platinumalbum that revolutionized pop music is set to be released on vinylDecember 7th, 2018coinciding with the date of the album's original release in 1998. Cher's 1975, 1976 & 1977 studio albums packaged together as a 2 CD set. Comes in a nice tri-fold digipack. 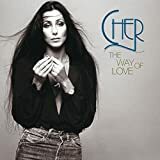 Tons of Cher hits from the '60s through the '90s. Includes Gypsies, Tramps & Thieves; Half-Breed; Dark Lady; Bang Bang; If I Could Turn Back Time; I Got You Babe (with Sonny); I Found Someone; Take Me Home , and eight more smashes! 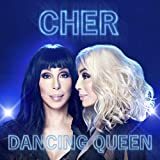 This new limited edition CD (limited run of 200,000) features the live recordings from Cher's top rated Living Proof Farewell Tour Television Special. Recorded live in Miami on November 8th, 2002, the disc features Cher in 18 highly energized performances, all re-mixed by Chris Lord-Alge. First broadcast on NBC on April 8th, 2003, Cher's Living Proof Farewell Tour Special was the highest rated TV musical special, along with NBC's encore network airing on Sunday July 6th have created a massive fan base for Cher and these live performances.